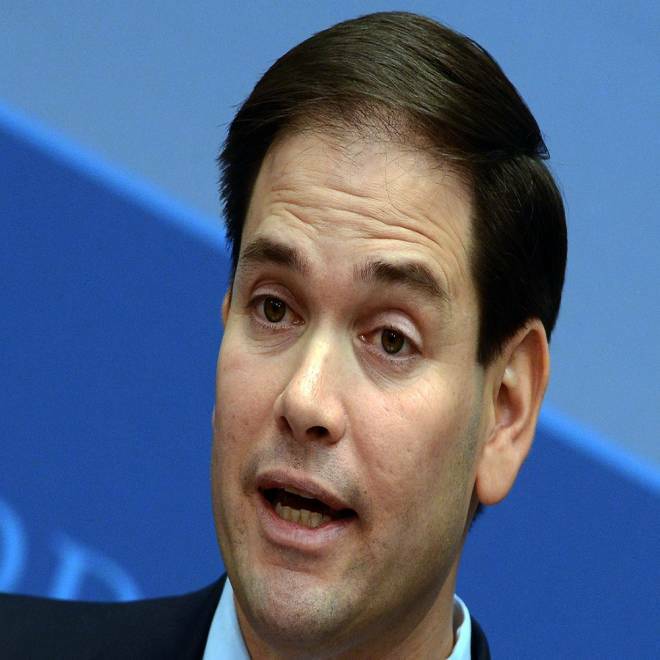 Senator Marco Rubio, R-Fla, speaks at the Brooking Institution in Washington, DC, on April 25, 2012. Republican White House hopeful Mitt Romney dodged mounting speculation Monday about a potential running mate, even with Senator Marco Rubio, the man now in the VP spotlight, standing right beside him. A prime obstacle facing Florida Sen. Marco Rubio as he engineers his ascent within the GOP — possibly even to the vice presidency — involves murmurs regarding his previous political career in the Sunshine State. Rubio's staff has carefully worked to dispel allegations of impropriety surrounding his dealings with embattled Rep. David Rivera (R-FL), as well as whether he used a card issued by the Florida state GOP to pay for personal expenses. Well, the senator went great lengths in an extensive interview on Fox News to address those controversies. It was totally resolved years ago. But let me walk you — it's a very valid question. First of all, I've already said that if I had to do it again, I would not do it that way. What I had was not a credit card; it was an American Express card, as a charge card. So basically, you charge things on a card and, at the end of the month, you have to pay it off completely. At the end of every month, we would get those statements, we would see what was on there that was party-related, and the party would pay that. If it wasn't party-related, I would pay that — directly to American Express. It wasn't like I reimbursed the party; I paid it directly to American Express at the time. Now obviously, in hindsight, it looks bad, right? I mean, why are you using the party credit card at all? Well, some of these expenses were because a travel agent had the number — you know, the credit card number — and they billed it to that card instead of the other card. Sometimes, it was just a mistake. I just reached for the wrong card. The point is that, if I had to do it again, I'd be a lot more careful. And I am because, in politics, perception is often reality. But it's important people understand: I did not bill personal expenses to the Republican Party of Florida. The Republican Party of Florida never paid my personal expenses. Never. I paid them directly to American Express, in the month that I would get those statements. Fox: And you addressed this in the campaign? Oh, sure. You think I would have been elected if I hadn't? We did, repeatedly. And I answered questions like that all the time. It's a valid question and, you know, it was a mistake. If I had to do it over again, I'd do it very differently. And I think in life, you live and you learn. But again, let's be ver clear: we're talking about, at the time — it wasn't like somebody found out about this, and then I went back and paid it. These charges were on there, if they didn't belong on there, I paid them directly to American Express. But, look, I shouldn't have done it that way. Lesson learned. Rubio addresses his relationship with Rivera and a whole host of other issues in the Fox interview. More importantly, though, the appearance reflects an affirmative effort by Rubio to address some of the issues in his own background — issues that could ensnare the Romney campaign if the Florida senator were tapped as Romney's running mate. That effort by Team Rubio is especially important now, given the senator's own forthcoming autobiography, and another book about Rubio authored by a Washington Post writer, which is expected to be more critical.